HB1413 HD1 SD1 RELATING TO THE ISSUANCE OF SPECIAL PURPOSE REVENUE BONDS TO ASSIST E OLA MAU NA LEO O KEKAHA. HB1414 HD1 RELATING TO THE HAWAII LABOR RELATIONS BOARD. HB1534 RELATING TO WORKERS' COMPENSATION. HB1535 RELATING TO CAPITAL IMPROVEMENT PROJECTS FOR THE BENEFIT OF THE KUNOA CATTLE COMPANY. HCR6 AUTHORIZING THE ISSUANCE OF A TERM, NON-EXCLUSIVE EASEMENT COVERING A PORTION OF STATE SUBMERGED LANDS AT KUKUIULA, KOLOA, KONA, KAUAI, FOR A SEAWALL AND STEPS, AND FOR USE, REPAIR, AND MAINTENANCE OF THE EXISTING IMPROVEMENTS CONSTRUCTED THEREON. 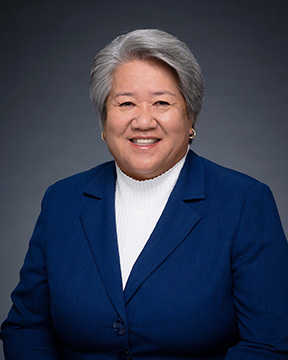 For 35 years, Representative Morikawa has been actively involved with Kaua‘i's communities through her work with the County of Kaua‘i - Department of Parks and Recreation, volunteering in numerous community projects and coaching youth and high school sports. Values such as community involvement, sacrifice and commitment to better lives are of paramount importance to her. As the Representative of House District 16 for the past 7 years, she has served in the capacity as Vice Chair to the House Committee on Health, member of the House Finance, Human Services, Housing, and Judiciary Committees. She has also served as Chair of the Human Services Committee for the past two sessions. Most recently, she has been a part of House Leadership as the Assistant Majority Leader, and currently as the House Majority Floor Leader. Her 42 years of service has been a commitment to preserve the public's health and safety, and she will continue to work for Kaua‘i and the State of Hawai‘i.